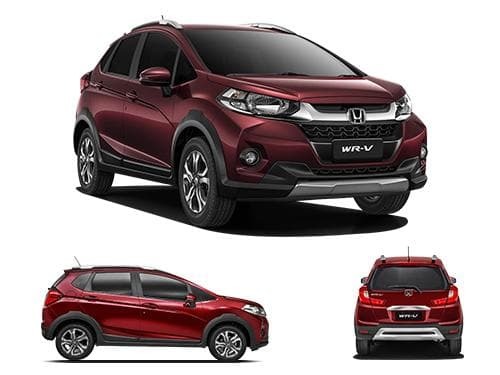 Honda WR-V, even though a compact SUV, offers a huge luggage space of 363 L, which serves great during long journeys. The boot capacity of WR-V is much higher as compared to other cars in the same segment and same price range. The boot space of Honda WR-V compares with that of Toyota Etios Cross, Fiat Avventura, Volkswagen Cross Polo, Hyundai i20 Active. The boot space of Honda WR-V is 363 litres, whereas the boot space capacity of Toyota Etios Cross is 251 Litres. On the other hand, Honda WR-V boot space competes to Fiat Avventura with 280 Litres of boot space, and Volkswagen Cross Polo having 280 Litres of boot. Generally, it's considered a great deal if the boot space capacity of a car is beyond 300 Litres, whereas, boot space below 300 litres isn't recommended if your primary goal of buying a car is boot space.